Booking appointments is made easy through our simple website, accessible online through your computer or mobile device. You can seek clinically approved medical advice around the clock. Doctorlink will direct you on how to best manage your symptoms or the right healthcare service for your needs. Doctorlink asks a series of relevant questions based on your symptoms and concerns. The symptom assessment tool recommends the right action based on your symptoms. 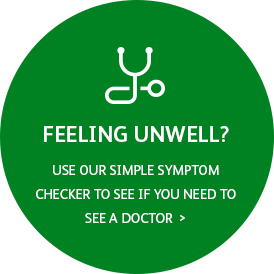 If a medical consultation is recommended, you have the option of booking an appointment fitting with the symptom assessment recommendation (e.g. consultation with a nurse practitioner within the next 48 hours or same day consultation with a GP). The practice will receive a copy of the symptom assessment outputs just as they would following an out-of-hours 111 consultation. Doctorlink is accessible 24/7, directing you to the help your need. For technical queries related to Doctorlink, please email us.